An Amazing work of literature – Should be on everyone’s list! Along with F. Scott Fitzgerald, Austen and possibly Dickens, I think that Joseph Conrad is one of my all-time favorite authors from the point of view in having a God-given talent to pen the most exquisite English. When Conrad describes a person, a setting or an event we are transported to the very heart of the story. We see, breathe and live the lives of his characters – such is his mastery of the English tongue. Who else but Conrad could get away with devoting almost the entire first half of Nostromo – which is a quite lengthy novel – in just relating the back-stories of the main characters? I doubt whether any other author could do this. Indeed, when the likes of George Elliot or DH Lawrence embark upon prolonged literary wanderings, mid-novel, that veer wildly from the path of the plot, there is a very strong temptation, (and I admit to occasionally succumbing), of skipping some of the most introspective of their lengthy tracts. But Conrad’s prose oozes from his pen. With each and every character, we, the readers become totally captivated by the narration of the protagonist’s background and how they came to be part of Conrad’s magical “Tale of The Seaboard”. It is the tale of a dynasty, of war, of endemic corruption, passion, brutality, humor, bravery, cowardice, love, filial loyalty, pride, and vanity. All this, and so much more, we experience as we follow this tale of the violent birth of a new nation. The novel is based in the fictional port city of Sulaco, in a nation called Costaguana – thought to be loosely based on real-life Columbia. Costaguana has suffered many violent revolutions and despotic dictators. Englishman Charles Gould believes that his re-opened and newly producing silver mine, just inland from Sulaco Port, will be the means to bring stability to a land which has suffered such a turbulent history. Unfortunately, the wealth generated by the mine, which exports its silver to international markets, only brings more trouble. The country becomes plagued with self-appointed warlords, all determined to get their hands on large slices of the silver pie. A huge shipment of silver is shipped from the isolated port just as invading forces from inland arrive to seize control. The shipment is thought to be lost in a shipwreck, but in reality, it is offloaded at a nearby, uninhabited island. After a series of violent machinations, the port of Sulaco and the surrounding countryside becomes the independent nation of Sulaco. Peace rules, but for how long? The book is populated with fascinating characters. The eponymous hero – or maybe anti-hero – is Nostromo; a charismatic seaman from Italy who is greatly respected by people from every stratum of society. He is a man of leadership, bravery and above all – total integrity. Then there is Charles Gould, an Englishman by ancestry who is a third generation costaguerian and owns the valuable silver mine. He is regarded by many as the “King of Sulaco”. His redoubtable English wife, Emilia, is also a major character, along with the likes of the taciturn, unfriendly, but ultimately valiant Dr. Monygham. Then there is Frenchman Martin Decoud, who is the first to ferment secession and ends up marooned with the silver bullion. Antonia Avellanos is a beautiful woman, who falls hopelessly in love with the doomed Decoud. And let’s not forget and Giorgio Viola, an Italian revolutionary who in later years runs a restaurant near Saloco Port and becomes the center of much violent conflict. He has two daughters, both of whom worship the ground that Nostromo walks on. There are many more characters in this drama; some of them bit players, and others who hold center stage for a while. This is why it takes Conrad fully half the book to tell us all about them. If there is any single message that Conrad wishes the readers to take from this massive, sweeping saga-canvas, it is surely the perfidy and temptation of ‘man’. 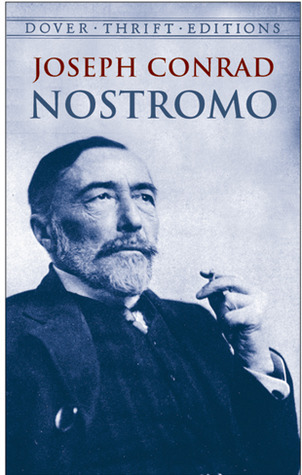 In the end, it is the unimpeachable and ‘heroic’ Nostromo himself who ultimately succumbs to the lure of wealth, and pays the ultimate price for his treachery. I really can’t fault this early 20th-century novel. It has been a pleasure to read and it’s wonderfully crafted characters will stay with me forever. 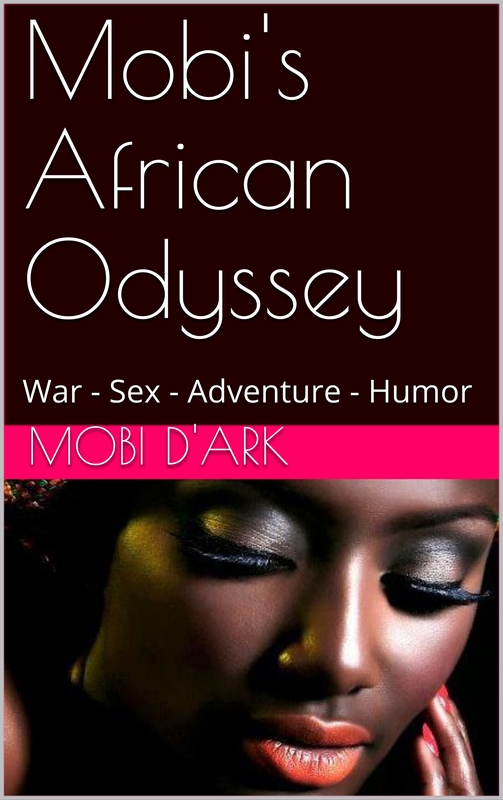 No wonder it has been constantly rated as one of the finest novels in the English language, and I have no hesitation in awarding it five Mobi Stars out of five.